The Austrian mathematician Kurt Gödel was possessed of a mind both brilliant and bonkers. Considered one of the most revolutionary mathematicians of the 20th century, he came up with game-changing theorems while still in his twenties. Toward the end of his life, however, his insanity tipped the balance. Paralyzed by paranoia, he wouldn’t eat food his wife had not first tasted. When she herself was incapacitated, Gödel died of starvation. Kurt Friedrich Gödel was born in 1906 in what was then Austria, now the Czech Republic. He was smart—and nervous—from an early age. His family nicknamed him Herr Warum, or Mr. Why, for the frequency and persistence of his questions. In his early elementary-school years, he fell ill with rheumatic fever, which he was convinced left him with lifelong heart trouble. At the same time, he was an outstanding student in high school and at the University of Vienna, where he received a doctorate in 1929, at the relatively precocious age of 23. His time at university changed both his professional and personal life forever. While at the University of Vienna, Gödel met and fell in love with Adele Numbursky, a divorced dancer six years his senior. His parents opposed the relationship, which upset the young man, who was particularly close with his mother. Adele would prove to be Kurt’s greatest supporter. They married 10 years later, in 1938, and she stayed by his side, a close confidante, for the rest of his life. As an extension of his doctoral studies, Gödel published his Incompleteness Theorems in 1931, revolutionary ideas including some statements about numbers that while true would never be able to be proven. The Incompleteness Theorems rocked the math world, according to Science magazine, forcing mathematicians to question what it means to say something is true. 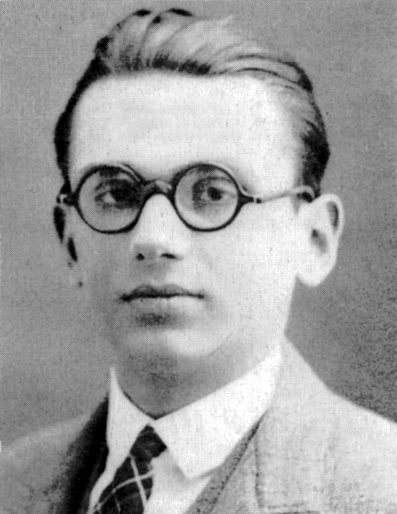 Gödel would later become one of the contributors to the theory of recursive functions, which formed part of the foundation for computers. But his work also coincided with personal crises. 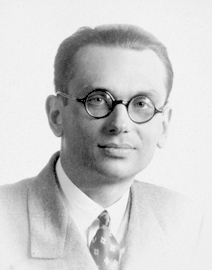 Gödel spent significant time in the mid-1930s in a mental-health sanatorium. Between the World Wars, Gödel was a member of a group of intellectuals and philosophers known as the Vienna Circle. 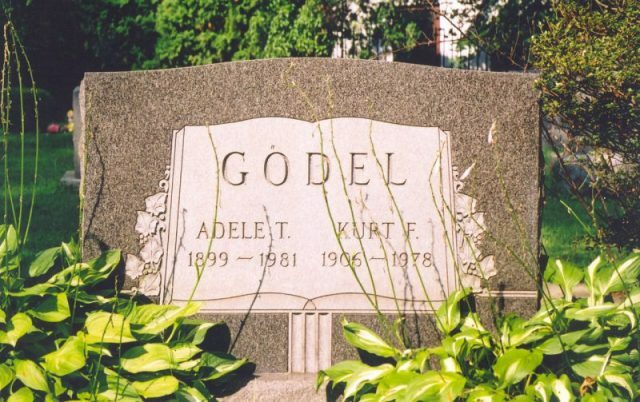 But when the Nazis annexed Austria in 1938, Gödel and his new wife, Adele, fled to Princeton, New Jersey, where they lived until his death in 1978. But the two were opposites. “Whereas Einstein was gregarious and full of laughter, Gödel was solemn, solitary, and pessimistic,” according to the New Yorker. Gödel was considered the greatest logician since Aristotle, but his tastes ran more populist than you might expect for a lofty thinker. His favorite movie was Snow White and the Seven Dwarfs. After Einstein died in 1955, Gödel withdrew further into himself. If people wanted to talk to him, they had to call first, even if they were in the same building. When he wanted to avoid people, he’d schedule a place to meet, and not show up. Gödel was awarded the National Medal of Science in 1975, but he refused to go the ceremony in Washington, D.C., where President Gerald Ford was to present him with the award, despite the offer of a private car to take him there. He was so afraid of getting sick, he wore ski masks that covered his nose when he went outside. He would only eat food that his loyal wife, Adele, had prepared and tasted for him. 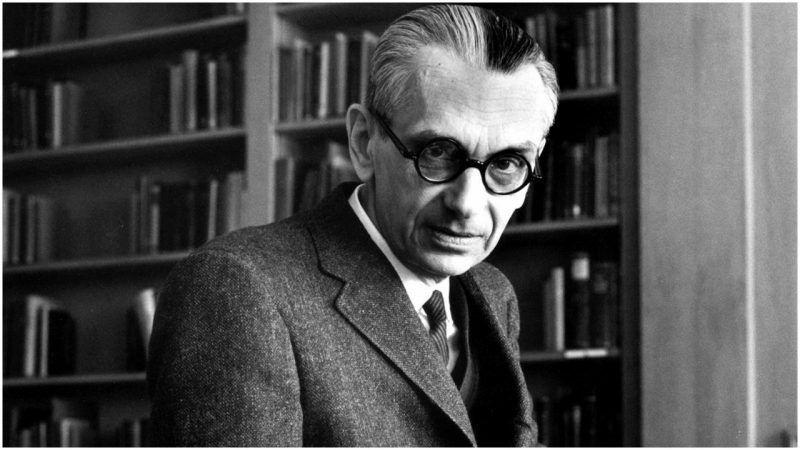 When Adele became hospitalized in late 1977, Gödel quit eating altogether. He became a walking skeleton and was admitted to Princeton Hospital in late 1977. Two weeks later, he died of starvation. His death certificate read he had died due to “malnutrition and inanition caused by personality disturbance.” He was 71 at the time of his death, and he weighed 65 pounds.